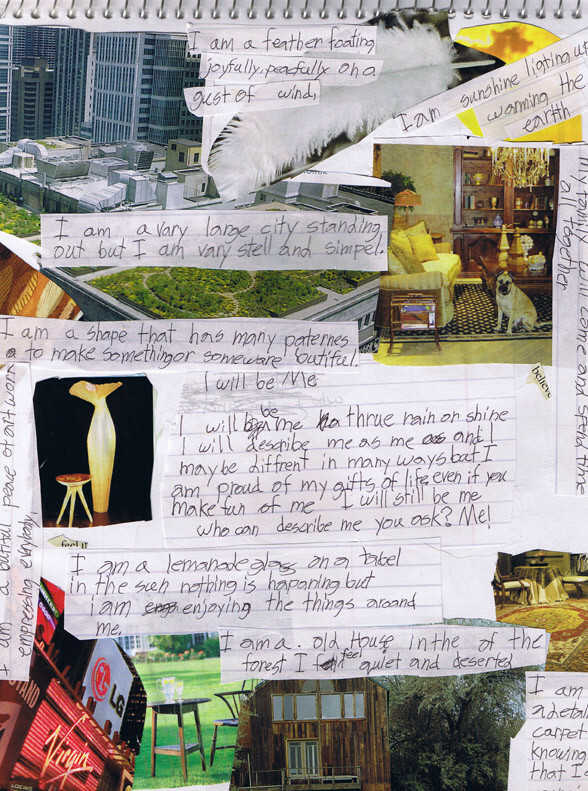 The collage journal exercise illustrated below offers children an opportunity to express themselves through found imagery and spontaneous writing. 1. Invite the children in your workshop to spontaneously choose several images. 2. Ask them to glue the images on the page while leaving spaces for writing. 3. After the imagery has been chosen then ask each child to write about each image as if it were themselves. 4. Start each sentence with, "I am...."
5. Invite each child to write a small poem that describes their feelings on the middle of the page.